Located in an area with large open spaces, this data centre was perfectly located away from the prying eyes of the public. A small industrial area, with a non-descript unit surrounded by high-security fencing, this data centre was not a public access site.Two new Daikin EWAQ520F-XL010 chillers were installed into a new, high wall plant compound just before the local council granted planning permission for construction on an adjacent field. Now the previous problems of pollen, seed and insects were going to be accentuated by a large housing development. As we all know, building work increases the level of dust in the air by its very nature, and the increased vehicle movements across rough ground would throw up yet more debris. Paul Hanstock Air Conditioning Limited needed a solution and contacted RABScreen for advice. One of our refrigeration engineers went to Southport to survey and assess the problem. He recommended that the coil faces be protected with RABScreen BHA (Black High Abrasion) electrostatic filter media and a factory order was placed on 1st February with Permatron in Chicago. The washable filters were fitted on 23rd February and are guaranteed to last for more than 10 years. 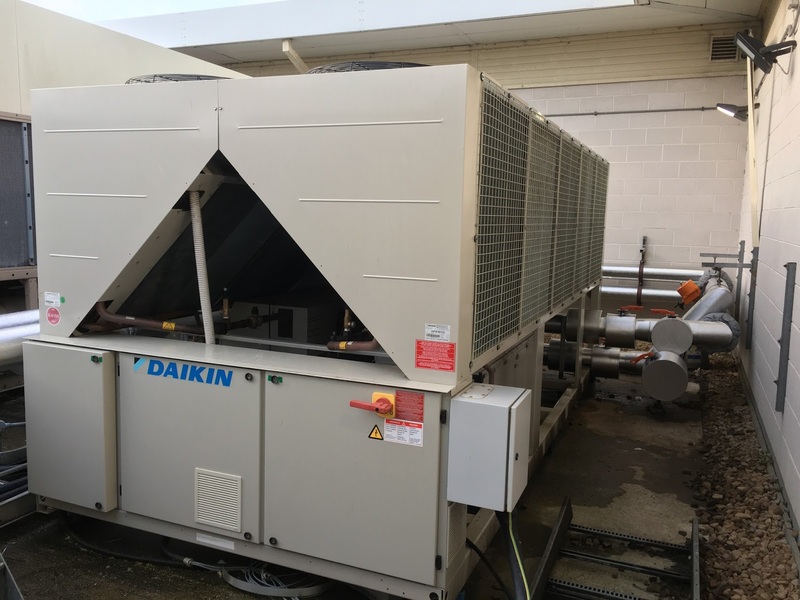 “We received great support from Permatron to ensure that these Daikin chillers were protected before major work started on the development”. RABScreen electrostatic filters are manufactured by Permatron and supplied in the UK and Europe by RAB Specialist Engineers Limited and their distributor network.